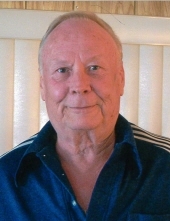 WAYNE A. WITT, 73, Mesa, AZ, formerly of Fulton, IL, died Friday, April 12, 2019, at Springdale Village in Mesa. A Celebration of Life will be held from 1:00 to 3:00 P.M. Saturday, April 20, 2019, at Cattail Park in Fulton, IL. Cremation rites have been accorded. A private burial will take place at a later date at Lower York Cemetery in Thomson, IL. A memorial has been established by the family. Wayne was born June 23, 1945, in Thomson, IL, to Harold and Sylvia (Griswold) Witt. He was first married to Patricia Zuidema and later married Judith Lacy. Wayne was employed at Drives, Inc. in Fulton. Survivors include one daughter, Traci (Nick) McQuistion of Fulton, IL; one son, Wayne A. (Emily) Witt Jr. of Sterling, IL; and six grandsons. To send flowers or a remembrance gift to the family of Wayne A. Witt, please visit our Tribute Store. "Email Address" would like to share the life celebration of Wayne A. Witt. Click on the "link" to go to share a favorite memory or leave a condolence message for the family.